Osteoporosis is a disorder characterized by a weakening of the bones. It’s caused by either losing bone or not regenerating it at a normal pace. When this happens, the skeletal structure isn’t dense enough to fully support body weight and impact. The result is a tendency for the bones to break more easily. A fall, or even a robust sneeze in some scenarios, can cause a fracture. If you suffer from this condition or you’re in an at-risk group, you’re probably wondering about the perfect bed for someone with osteoporosis. You’ll want something that’s comfortable but also healthy for your bones. In this guide, we’ll share some top brands as well as give you some general guidelines to look for when you shop. Sounds scary, right? What’s even more alarming is that bone loss associated with osteoporosis affects nearly 54 million Americans. If you’re a woman over fifty, there is a 50% chance of breaking a bone due to osteoporosis. And before we forget, we bet you were wondering about the origin of the word osteoporosis. Let’s clear up that mystery, shall we? Osteo means bone. Porosis means porous, referring to a surface or structure that has pores or holes. In a literal sense, this condition means having holes in the bones. 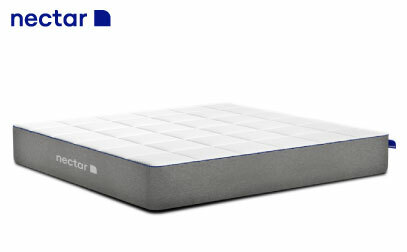 Nectar is from a company that has made a name for itself in recent years by offering exceptional value for the dollar with their memory foam bed, which is reminiscent of a classic pressure relieving memory experience with several crucial updates. They are so confident that you will love it that they have instituted a 365-day sleep trial, so you can give the bed a year-long test drive to make sure its the bed for you. What’s impressive about it? By going to an online sales model and packing their bed into a smaller box for easier shipping, Nectar can offer a lot of quality for the dollar. Beyond the generous sleep trial, there’s also a Forever Warranty that comes with this bed. If you are learning to manage osteoporosis, you may feel unsure about memory foam as you may worry about having trouble repositioning or overheating. Gels in the foams, as well as more responsive layers in the comfort system, keep this bed cool and responsive while cradling your shape in a nice, deep hug that melts away your pressure points. Do you want to know more details? See our full Nectar analysis here and find out. 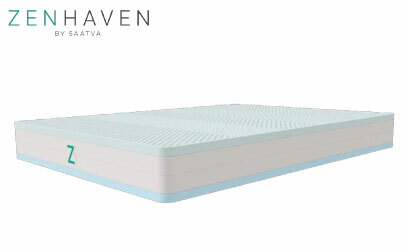 Zenhaven is an all-natural latex offering from a well-known online mattress retailer called Saatva that has built its reputation on more eco-friendly materials in a line of luxury mattresses. This mattress has two different firmnesses built into it, one on each side, giving you the choice between a firmer or softer bed, depending on what works best for you. What’s the fuss about? 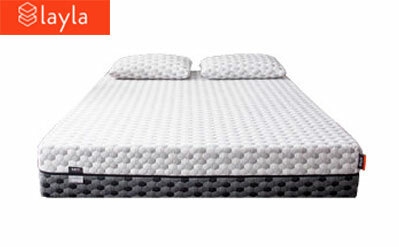 Not only does the luxurious Talalay latex in this bed offer great pressure-relieving comfort, the clever design uses aeration holes placed at different distances from one another to provide zoning. By varying firmness in the comfort layer, the materials should be able to cradle and support different weights and hold your body level. Beyond the comfort system, a firmer layer of Talalay forms the bed’s supportive core that offers extra support on one side and extra pressure relief on the other. We may suggest the Firmer side for heavier folks who need extra support, and the softer side for lighter individuals who sometimes struggle to push through the comfort layers. However your tastes run, you can try out both sides to see which is the most comfortable and pain reducing. Learn more about this Zenhaven bed here. Those who suffer from osteoporosis need to find just the right balance of comfort and support that is soft enough to mold to the shape of their body without letting their spine slip out of alignment. The designers of Casper set out to create one mattress that could create that balance, regardless of body type, and deliver a more “universal” feel. What’s unique? This company is always working to update their mattress, and their newest mattress has introduced zoning into the mix. A versatile third layer is extra firm in the center of the mattress so that your heavier parts remain level with the rest of your body. By using graduated firmnesses throughout the mattress, the company claims that the mattress will deliver the right balance for your regardless of your body weight. The foams in the mattress are made to deliver a small amount of bounce and are responsive enough to keep repositioning easy if mobility is an issue for you. 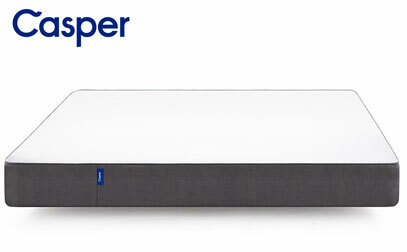 Explore the full list and specs of Casper in our complete overview. Memory beds are known for great pressure relief, but modern memory materials can deliver a variety of feels and it’s difficult to know which will work best for you. Layla’s dual-sided mattress offers two distinct feels so you can try out sleeping more inside or on top of the mattress to find where you’re the most comfortable, while still getting enough support to keep your spine straight. What’s special? Layla’s memory foams give you a classic memory foam experience that you should just sink down into for a pressure-free and blissful sleep. Updates to the cooling system which use both copper and a special proprietary gel help to ensure that you don’t wake up in a pool of sweat. Either side of this mattress should work great to cradle the sensitive frames of folks with osteoporosis, but we do suggest that those people who struggle with mobility may be better served by the firmer side of the mattress, which is slightly easier to navigate. Learn more about this bed in the full analysis of the Layla bed. Research has proven that using your muscles can help protect your bones long term, but a more active lifestyle requires restful sleep so that your body can repair itself before you set out on your next big adventure. 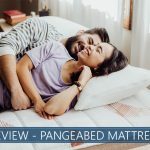 Bear Mattress has targeted their mattress at those folks who like to keep active, and they’ve developed performance materials that they say help enhance your body’s natural recovery process. What’s its best feature? The cover of Bear is made with Celliant®, which is a performance textile that recycles your body’s energy and uses infrared technology to improve tissue oxygenation. Clinical research is currently underway to prove what health benefits this might provide, and we encourage you to read up on it to see how the science behind it develops. Beyond the cover, Bear’s comfort foams are made to be responsive and resistant to heat build-up so that you should not be woken up by sweat or difficulty moving around in the comfort materials. The firmer base should comfortably align your spine so you wake up refreshed and ready to hit the road again. Find out the layers, feel and firmness of the Bear in the full review here. If you are on a tight budget, you may be tempted to tough it out on your existing mattress, which continues to break down every day and exacerbate your condition. 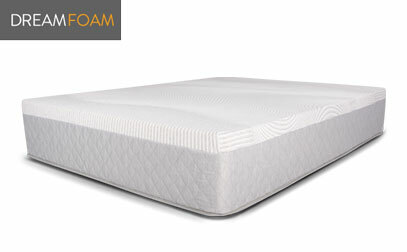 Dreamfoam is a company that believes everyone deserves a great night’s rest, and they are helping make this happen by providing outstanding quality for budget-friendly prices. Sojourn is a memory bed from that company that delivers outstanding quality materials that should not overheat or trap you. What stands out? Some so-called budget beds sacrifice quality to keep prices low, but Dreamfoam does it by eliminating middlemen with an online sales structure and packing their beds in shippable boxes. All of their foams are certified to two different consumer safety standards and deliver really great quality. The memory foam layer is followed by an extra thick base layer that helps to align your spine while the comfort layer goes to work on your pressure points and should melt them away. The bounce and firmness of the base should keep repositioning easy, and the bed’s motion isolation should keep middle-of-the-night movements by a partner from jostling you uncomfortably. See more info in our complete overview of this iPedic Sojourn bed. When people shop for mattresses, they tend to think first about comfort and firmness, but they often neglect to consider how the structure of the bed positions their spine. Regardless of whether someone has a bone condition or other ailment, keeping the spine in the right position is crucial for getting the best night of sleep and avoiding pain. When you lie in bed, your spinal column should retain the same shape it has when you’re standing up. It should be relatively straight, while still maintaining its natural curvature, with no buckling or awkward angles. A bed that is too firm or soft can throw your body out of alignment. Even the highest quality beds could be problematic depending on your preferred sleep position. However, many people can find relief in a a “zoned” mattress, or something with uniform sinkage, to ensure that the surface of the bed absorbs your weight evenly. The way a zoned mattress works is that it’s softer in areas for body parts that put more pressure on the surface (like your hips and shoulders) and firmer in parts where less of your weight pushes into the bed. The goal of a zoned mattress is that you get the right amount of support to stay comfortable and in proper alignment all night. A common misconception is that people with osteoporosis need a firm mattress to support their bones. However, a bed that is too hard won’t necessarily allow for proper spinal alignment, as we discussed a moment ago. The ideal mattress for most is classified as medium-firm. It should be soft enough to absorb the weight of your body’s heavier parts, especially when you lie on your side, but firm enough to prevent you from sinking too deeply into the surface of the bed and out of alignment. As you shop around, you’ll see a variety of terms describing firmness levels. Keep in mind that these are subjective measures and vary by brand. One company’s idea of ultra-firm might be another brand’s middle-of-the-road product. Instead, look out of for numbered ratings. A medium-firm sleeping surface is typically ranked between 6 and 6.5 out of 10, with a ranking of one being equivalent to sleeping on a bed of feathers, and 10 is more like a concrete slab. Just keep in mind – this can be highly subjective when taking weight distribution and body type into account. Considering Memory Foam or Latex? Over the years, many people have decided that their ideal blend of comfort, support, and proper spinal alignment comes in the form of memory foam and latex mattresses. If you’re interested in a memory foam bed, you can find a mattress that has multiple layers of varying densities. Look for something that has a softer upper layer that contours to your curves with a denser, more supportive base layer to provide the right amount of support. Avoid cheaper brands that contain low-density foam only. These beds may feel okay for a couple of months, but they can deteriorate rapidly. Latex mattresses can also work well for those with brittle bones. If you look for natural latex, it is sourced from the sap of a rubber tree. It’s a greener alternative and said to be more durable than synthetic materials, but you can find both on the market. 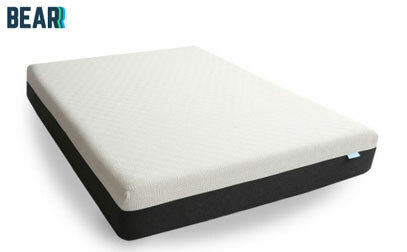 Both latex and memory foam beds now offer the zoned support we discussed earlier. If it’s in your budget, this is a splurge you can consider. Considering Innerspring (Love that Bounce)? Innerspring mattresses, also referred to as coil, used to be a top choice in America, but they’re steadily evening out or even being replaced by foam, latex, and hybrid beds. To put this into perspective, let’s think back to physics. Remember Newton’s Third Law of Motion? For every action, there is an equal and opposite reaction. Innerspring mattresses are a classic example of this principle. When you lie down on a bed with springs, the force that your body weight exerts onto the coils is pushed right back at you. Some of these beds have zoning or comfort layers to make sure that spinal alignment stays at the appropriate level. If high bounce is something that is too much for you, you may purchase a different type of material instead. Want to Go Organic (if possible)? This is a more expensive option, but it’s worth it if you value trying to avoid chemicals. Mattresses that aren’t organic are likely to contain something called “volatile organic compounds” (VOCs), though there are some certifications like CertiPUR-US that help ensure low VOCs. They haven’t been proven toxic, however, some are linked to allergies, asthma, difficulty breathing, and poor indoor air quality. If you have a health condition that compromises your immunity, you can seek out a bed that’s organic. Even the most perfect mattress in the world won’t do you much good if you’re sleeping on the wrong pillow. When it comes to choosing somewhere to rest your head, the same rules apply. You need something that keeps your head, neck, and spine in the right alignment. Although they’re soft and fluffy, avoid super thick pillows that prop your head up at an angle that’s too high. Ideally, a slimmer option is best for freefaller or back positions. Looking at a cervical pillow that has an opening for your head and slightly raised edge to support your neck is an option. If you’re a back sleeper, you can consider wedge pillows. They’ll help prevent pressure from building up in your lower back. For side sleepers, placing a pillow between your knees keeps your lower back and hips in a more natural position can help. The pillow stops your top leg from twisting to the side, so it can be a lifesaver for those with low back pain. Also, you can take a look at our list of top rated pillows for more inspiration. What’s the best sleeping position for osteoporosis of the spine? Remember, if you sleep on your side, you can place a pillow between your knees to help train your body to stay in alignment. Back sleepers can also put a pillow under their knees to relieve any undue pressure. Should I invest in a mattress topper? Mattress toppers can be helpful if you’re trying to make slight adjustments to your bed. If it’s too firm, for example, you might want to buy an egg-crate style topper to soften things up. There are even toppers that boast a firmer surface, so if the bed you bought is too soft, you might be able to add some firmness to it. Our only cautionary here is to avoid buying a mattress topper to help save a sagging bed that’s beyond its useful life. While this tactic can be smart for young people on a tight budget who need to extend the life of their bed by a couple of years, it’s not a recommended course of action for people with brittle bones. Don’t compromise on your comfort or health by suffering with a mattress that’s sagging and unsupportive. Nowadays, you can get a top-quality new mattress for less than what you think. How does sleep affect the skeletal system? You already know that sleep is vital to staying healthy. But did you know that not getting enough sleep can also harm your bones? A recent study published in the Journal of Experimental Biology and Medicine found that not getting enough sleep decreases bone mineral density, which is a leading cause of osteoporosis. What’s particularly compelling about the results of this study is that we tend to think that older people need less sleep than younger people. It could very well be that this is a myth. Perhaps senior citizens should be getting just as much sleep as young adults! Proper spinal alignment can help prevent further injury. Being able to sleep comfortably increases your chances of getting adequate sleep. Since not sleeping enough is linked to bone loss, it may be worth the effort to find a mattress that best fits your needs.